Everybody desire for long and lustrous hair. However, our urban lifestyle, hectic schedules, unhealthy food habits, hormonal changes and other environmental factors leave our hair dull and brittle at times. Hair loss has become a common problem today. What worsens it is the reliance on chemical-infused hair products that only give instant shine and are no good in the long run. We need to understand that the slower and steadier the recovery, the longer it stays. 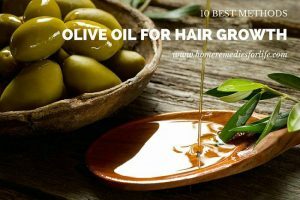 Natural topical applications like olive oil for hair growth, coconut oil, tea tree oil and other ingredients are effective in controlling the hair loss to 50 – 60% percent. But if you are looking out for 100% solution then eat nutrient rich foods and improve your overall health. 1 Is Olive Oil Good for Hair Growth? 2 How to Use Olive Oil for Hair Growth? 4 What Kind of Olive Oil is Best for Hair Growth? 5 How to Choose Best Olive Oil for Hair Growth? Does Olive Oil Really Stimulate Hair Growth and Prevent Hair Breakage? Let’s have a look at the scientific facts behind it. Increase in DHT (dihydrotestosterone) is one of the main culprit behind hair loss. It is a hormone that directly attacks and weakens the hair follicles leading to hair fall. The levels of DTH increase when you are over stressed, imbalance in sugar levels and hormonal imbalance. Regular consumption of olive oil restricts the production of DTH which in turn prevent hair fall. Massing the scalp with olive oil encourages blood circulation which strengthen hair follicles. The nutrients and unsaturated fats present in it nourish the hair and scalp. It helps to seal the moisture in hair shaft, prevents dryness, reduces frizz and makes hair more manageable. Its conditioning properties also prevent hair from breakage. Olive oil contains antimicrobial properties which fight with fungus or bacteria causing scalp infections like itching, dandruff, and clogged follicles that are some of the leading causes of hair loss. Olive oil contains both omega 6 & 9 fatty acids. Omega 6 fatty acids prevent the hair from losing moisture in dry environments. Omega 9 fatty acids make the hair more bendable and pliable. As our body cannot produce omega fatty acids on its own, olive oil can be a great supplement to get them. It has essential nutrients along with mono-unsaturated fatty acids that reduce the hair loss by strengthening the hair from roots to tip. It also thickens the hair strands. Massaging with olive oil on the scalp will help to improve the blood circulation which stimulates the follicles to produce thicker hair strands. Olive oil alone is effective in preventing or slowing down the hair fall. It can be either topically applied, used in dishes or gulped up straight. However, adding natural ingredients like almond oil, rosemary, cayenne pepper, castor oil to olive oil enhances its effectiveness. In this process, we leave the olive oil application overnight which helps to exfoliate the excess sebum build up that is responsible for inhibiting the hair growth. Slightly warm up enough amounts of olive oil. Apply it thoroughly on the scalp and hair. Massage it gently for few minutes to stimulate the blood circulation. Wear a shower cap and leave it on overnight. In the morning, rinse your hair normally with shampoo and water. Repeat the process regularly to reduce the hair loss. Consuming olive oil helps to treat the internal cause of the hair fall by reducing the DTH in our body. Into a glass of water, add 1 tablespoon of olive oil and squeeze some lemon juice. Mix well and gulp it dohown. Alternatively: You can drink 1 tablespoon of olive oil daily or else cook your dishes using olive oil. The antioxidants present in castor oil improve the keratin and make the hair shafts stronger and less frizzy. Castor oil contains antiviral, antifungal and antibacterial properties which deal with the scalp infections causing hair fall. To improve scalp health, you can try the olive oil remedies mentioned in this article. Mix equal quantities of olive oil and castor oil and hibiscus petals. Heat the oil and remove the flame. Let it cool down to lukewarm temperature. Strain and apply oil solution on the scalp. Massage gently on the scalp for 10 – 15 minutes. Wrap a steamed warm towel on your head to lock in the moisture. Leave it on for an hour before washing off with water and mild shampoo. Mix 1 part of organic castor oil in 4 parts of extra virgin olive oil and stir it well. Pour this in an empty spray bottle and apply this oil mix all over the scalp. Massage gently and leave for a few hours to overnight. Rinse next day with shampoo and water. Eggs are rich in protein, iron, Sulphur, phosphorous, zinc and iodine which are helpful in enhancing the hair growth. Honey locks the moisture in the hair and scalp which prevents frizzy hair, dry or itchy scalp. This combination works well for people with oily scalp. Separate the egg white and whisk it thoroughly. Add 1 tablespoon each of olive oil and honey into it and mix well. Apply the mixture all over the hair and leave it on for 20 – 30 minutes. Repeat the process at least once in 2 weeks. Cayenne pepper contains capsaicin which irritates the scalp and improves blood circulation. This simulates the hair follicles and encourages hair growth. Slightly warm up 1/2 cup of olive oil. Add 1 teaspoon of cayenne pepper and stir well to avoid clumps. Now, turn off the heat and let it cool down for few minutes. Apply the mixture on the scalp and gently massage for few minutes. Leave it on for 4 hours to overnight. Alternatively: Combine 1 teaspoon of cayenne pepper and 2 teaspoons of olive oil. Apply the mixture on the scalp and leave it on for few minutes. Rinse off with cool water and pat dry. Combine 2 tablespoon of olive oil, 1 teaspoon each of cayenne pepper powder and mustard powder. Into it add 2 tablespoon of hot water and 1 egg yolk. Stir well until the ingredients incorporate. Wear a shower cap and leave the application for 20 – 30 minutes. Note: You can use cayenne pepper tincture instead of cayenne pepper. Garlic contains high amounts of calcium, sulfur, and zinc which nourish the hair follicles and encourage hair growth. Apart from that, it boosts blood circulation, contains anti-microbial properties and treat scalp issues like dandruff. If dandruff is the main problem of your hair loss then check out this article “Olive Oil for Dandruff” to find out the solution that works for sure. Crush 4 – 5 garlic cloves and add it to 3 tablespoons of olive oil. Heat the mixture for few minutes until the garlic turns golden brown. Strain and apply the oil on the hair roots and massage gently for few minutes. After leaving the application for 1 hour, rinse off with mild shampoo and water. Repeat the process 3 times in a week to promote hair growth. Alternative Method: Add 4 garlic cloves into 1/2 cup of olive oil. Cover and keep it aside for 1 – 2 weeks. Strain and apply the oil on the scalp and along the hair. Leave the application for an hour and rinse off with shampoo and water. Avocado is rich in vitamin E and other essential nutrients which help to stimulate hair growth. The combination of olive oil and avocado is helpful to tame frizzy hair, lock moisture in hair shaft and strengthen hair roots. Mash half of ripe avocado into a smooth paste. Add 2 tablespoon of olive oil into it and stir well. Apply the mixture on the hair as a hair mask. Leave it on for 20 – 30 minutes and rinse off with milk shampoo. For added benefits, you can add banana pulp or 2 tablespoons of honey and 2 – 3 drops of lavender oil. Combine equal amounts of avocado oil, castor oil and olive oil in a bowl. Apply the mixture on the scalp and massage gently for few minutes. Rinse it off after few hours with mild shampoo and water. Repeat the process regularly to stimulate hair growth. Note: Instead of avocado oil, you can add lavender essential oil, or fresh rosemary. Coconut oil contains lauric, capric and other fatty acids which bind with the proteins in hair. It protects the hair from breakage and hair loss. Combine olive oil and coconut oil in 2:1 ratio. Massage gently for few minutes and leave it on for 10 – 15 minutes. Rinse off with any herbal shampoo and water. Repeat the process 3 times in a week to reduce hair loss. Note: For added benefits, you can add some honey and an egg into the mixture. Add 3 teaspoons of olive oil into 1/2 cup of coconut milk and mix well. Apply the mask on the scalp and hair. Wear a shower cap and leave it on for 10 – 15 minutes. Wash it off with shampoo and water. Repeat the process regularly to improve hair growth. Alternative Method: Mix equal quantities of olive oil and mayonnaise. Spread it all over the scalp and hair. Rinse it off with shampoo after 2 – 3 hours. All these ingredients contain essential compounds necessary for improving hair growth and reduce hair loss. This combination is effective for people with dry and itchy hair. Combine 1 tablespoon of lukewarm olive oil, 1/2 tablespoon of warm castor oil and 3 drops of lemon essential oil. Massage gently for 10 minutes and leave it overnight. Wash your hair with a mild herbal shampoo and water. Tea tree oil exfoliates the dead skin cells, unblocks the hair follicles, moistures the hair shafts and fights off scalp infections. This combination is very effective in treating hair loss, head lice, dandruff, itchy and flaky scalp. Combine 8 – 10 drops of warm tea tree oil and 3 teaspoons of olive oil. Apply the mixture on scalp and massage gently for 5 – 10 minutes. Cover your head with a hot towel to open up the clogged pores. Let it sit for a few hours to overnight and wash off with shampoo. Repeat the method regularly to control hair fall and improve hair growth. This homemade natural conditioner using olive oil promotes health of the hair naturally, stimulates new hair growth and moisturizes the hair shafts. In a bowl, add egg yolk, few drops of lemon juice and 1/2 cup of olive oil. Whisk thoroughly to let the ingredients incorporate well. Apply the mixture on the scalp and hair. Massage gently for few minutes. Wear a shower cap and leave it on for 15 minutes. Rinse off with water and mild shampoo. Repeat the process 2 – 3 times in week. Note: You can increase or decrease the quantity of the ingredients based on your hair length. You can exclude either lemon juice or egg yolk and follow the same process. Blend 1/4 cucumber into a smooth paste and add 1 egg and 4 tablespoons of olive oil into it. Whisk thoroughly until the ingredients incorporate. Apply the mixture throughout the hair and wrap it with a plastic cover. Wash it off after 20 – 25 minutes with shampoo. Honey locks moisture in the hair shafts and makes the hair more manageable. Cinnamon stimulates the hair growth and improves blood circulation to the hair follicles. Slightly warm 2 tablespoons of olive oil for 10 seconds. Add 1 tablespoon of honey and 1 teaspoon of cinnamon powder into it. Massage gently and leave it on for 30 minutes. Repeat the process once in a week to achieve positive results. Note: You can add a pinch of hot pepper tincture instead of cinnamon. Essential Oils are one of the best ways to stimulate hair growth due to their beneficial properties. However, we suggest doing a patch test before applying any of the below combinations on the scalp. Add few drops each of rosemary, peppermint and sage oil into 1 tablespoon of olive oil. Massaging the mixture gently on the scalp for few minutes. Leave the application for few hours and rinse off. Add 3 drops each of cedar oil and rosemary oil, 2 drops each of lemon essential oil and clary sage into 2 tablespoons of olive oil. Massage gently for a few minutes and wash it off with shampoo after an hour. Follow this process 2 – 3 times in a week. Add 25 drops each of lavender oil and eucalyptus oil into 1/4 cup of extra virgin olive oil. Apply on the scalp and massage gently for a few minutes. Wash it off with water, shampoo and conditioner. Cumin seeds are known to reduce hair thinning, prevent baldness and hair fall. It stimulates long and lustrous hair. It is packed with vitamins and nutrients which replenish the hair. Soak cumin in olive oil overnight. In the morning, strain and apply the oil on the scalp. Massage gently for few minutes and leave it on for 15 – 30 minutes. Repeat the process 3 times in a week to reduce hair thinning. The antioxidants present in vitamin E oil help to repair the damaged hair follicles, prevent tissue corrosion, and encourages healthy hair growth. Extract the oil from 2 vitamin E capsules and add it to 2 tablespoons of warm olive oil. Leave it on for about 30 – 45 minutes. Repeat the process 2 – 3 times in a week for stimulating hair growth. Fenugreek is very effective in strengthening hair roots and treating follicular problems. It contains lecithin which imparts shine to the hair. It also helps in reducing dandruff, and other scalp problems. Wash 4 tablespoons of fenugreek seeds with water and then grind them. Add it to 1/2 cup of olive oil and slightly warm it. Store it in a glass container for about 2 weeks. Strain the oil and discard the fenugreek. Apply the solution on the scalp and leave it on for few hours. Wash with mild shampoo and water. Repeat regularly to improve hair growth. Soak 1/2 cup of fenugreek seeds in water overnight and grind them into smooth paste in the morning. Combine 2 tablespoons of fenugreek paste and 1 tablespoon of olive oil. Rinse off the application after 10 minutes. Note: For added benefits, add 1 tablespoon of yogurt to the mixture. Onion juice helps to repair and stimulate hair growth in damaged hair follicles. The sulfur content present in onion helps in the formation of keratin which results in hair growth. Blend an onion into smooth paste. Add 2 tablespoons of olive oil and 1 egg into it. Whisk well until the ingredients combine. Wear a shower cap and rinse it off after an hour with a mild shampoo. Repeat twice a week to repair the damaged hair follicles and prevent baldness. Green tea is rich in anti-oxidants which help to stimulate hair follicles and encourage hair growth. It also conditions and strengthens hair shafts. Steep 2 green tea bags in 1 cup of water for 5 – 10 minutes. Remove the tea bags and let the tea cool down. Now, add 1/4 cup of virgin olive oil and stir it well. Shake well and spritz it on your hair. Follow this process regularly to not only encourage hair growth but also add shine to it. Aloe vera contains essential fatty acids, vitamin A, C, iron and zinc which helps to promote hair growth and nourish the hair roots. Into 1oz of water, add 1 teaspoon honey, 2 teaspoons each of aloe vera gel and olive oil. Apply the mixture directly on the scalp. Leave it on for 30 minutes before washing off with shampoo. Continue following the method 3 times a week for positive results. Note: Add 1/4 teaspoon of egg yolk for added benefits. Yogurt is rich in protein which offers nourishment to the hair and improves its health. It moisturizing properties act as a great conditioner. The lactic present in it are great for exfoliating the impurities and dead skin cells from the scalp. Combine 1 egg (yolk for normal – dry hair and egg white for oily hair), 2 – 3 tablespoons of fat free yogurt and 2 teaspoons of olive oil. Apply the mixture on scalp thoroughly. Wear a shower cap and wait until it dries completely. Note: Add 1 teaspoon of olive oil into 1 cup of yogurt and massage this mixture on the scalp and wash it off with lukewarm water after 15 – 20 minutes. Almond oil contains omega-3 fatty acids, phospholipids, vitamin E and magnesium which nourish the hair roots and strengthen the hair shafts. This process is very effective for treating spilt ends. Split ends are also one of the reasons for decreased hair growth. Combine equal amounts of extra virgin olive oil and sweet almond oil. Apply the mixture on the scalp and along the hair (root to tip). Massage gently in circulation motions for few minutes. In the morning, rinse off with shampoo and water. Repeat the process regularly for effective results. Note: You can use sesame oil instead of almond oil and follow the same process. Amla plays an important role in nurturing and conditioning the hair. It minimizes hair loss and premature graying of the hair. It also encourages strong and healthy hair growth. Take a fresh amla and grate/blend it to extract its juice. Combine 2 tablespoons each of amla juice and olive oil. Massage the mixture on the scalp for few minutes. Wear a shower cap and leave it on for 1 – 2 hours. Curry leaves are loaded with beta carotene and protein which brings significant reduction in hair fall. Curry leaves treatment also helps to prevent premature graying of the hair. Add handful of curry leaves in a small bowl of coconut oil. Heat the mixture until the curry leaves turn black. Strain the mixture and massage the oil onto the scalp. Repeat the process regularly for few times in a month. For effective results, make sure to use only extra virgin olive oil. Avoid scratching your scalp as it can hurt the hair follicles or damage the sensitive scalp skin. Usually, loss of 50 – 100 strands of hair loss is considered normal. However, if you are losing hair large clumps even after trying the above remedies then consult a dermatologist. Avoid using shampoos that contains harsh chemicals that can have negative impact on hair growth. There are many shampoos in the market containing olive oil or olive leaf extracts. You can either use them or add few drops of olive oil into it while shampooing. Even though olive oil can help with hair growth the results can be temporary will you don’t follow a healthy lifestyle. We recommend including foods rich in biotin, vitamin C, A& E, iron, magnesium and omega fatty acids in your daily diet. Avoid eating processed, sugary and gluten foods. Stay away from alcohol, tobacco and caffeinated drinks. Focus on relaxing because stress is one of the main reasons for hormonal imbalance which can have major impact on hair growth. Sleep well and do breathing exercises to reduce your stress levels. Cover your hair with scarf from damaging UCV rays of sun. Avoid using hair styling products that use heat as a medium until you hair’s health improve. Using it can damage the hair further and disturbs the healing process. What Kind of Olive Oil is Best for Hair Growth? There are several types of olive oils in the market which includes extra virgin, virgin, light, pomace, filtered, stone milled and list just goes on… With all these varieties an individual can easily get confused which one is best to choose for hair growth and which one is good for cooking. Cooking olive oil should not be used for topical applications. When it comes to hair growth, we recommend using extra virgin or virgin olive oil. Because they are not chemically treated or used excessive heat while extracting them which states that they contain maximum amounts of nutrients and beneficial properties. How to Choose Best Olive Oil for Hair Growth? Choosing a wrong product can end with less effective results. However, picking olive oil from a grocery store can be daunting task. But if you follow the below guidelines you can choose the right one very time. Consider Packaging: Higher grade olive oils are sold in metal and glass. Metal can be very good as it will not be exposed to light. Even some glass bottles are tinted, to prevent the light from reducing the quality of oil. Authenticity: There are a lot of olive oil imposters out there so you have to aware. To get the best one, choose extra virgin olive oil which is cold compressed (extracted without heat or chemicals). This extraction process makes sure the oil derives maximum amount of anti-oxidants. This olive oil is Spain produced, certified organic, and cold compressed. It doesn’t contain any adulterants or other oils. It has a rich green color, fresh fruit aroma and distinctive flavor. It comes in a beautiful and colorful metal tin which make sure the olive oil is fresh for longer. It was awarded the North American Olive Oil certified quality seal which states that it has met highest international olive oil standards. A lot of brands mix up cheap, greasy canola oil and sell it at lesser price. But Kirkland signature EVOO is one of the trusted brands for its quality. It is 100% pure olive oil made from olives grown in Italy. It is very useful for topical hair and skin treatments. The packaging bottle has a dark tint which keeps the olive oil from going rancid. Betrolli extra virgin olive oil comes with a robust and fruity flavor. The dark tint of the packaging bottle ensures the olive oil doesn’t go rancid. It has undergone rigorous Italian standards. It is great for natural hair and skin treatments. This product is considered world’s number one olive oil brand. If you desire a high quality olive oil then this has to be your choice. This olive oil is produced by the first pressing of Mediterranean’s finest olives. It uses age old cold compressing process to extract the olive oil. It is very low in acidity which accounts for its robust taste and heavy fragrance. You will appreciate its nutty flavor when consumed directly or drizzled on salads. Due to its high quality, it is considered to be the best for topical treatments as well. Figaro Olive Oil is mild that suits all skin types. It is a multipurpose olive oil as it is used for skin and hair because it is rich in antioxidants. Its flavor is also appreciated when consumed internally. It is great to drizzle on salads and cook dishes. Fragata olive oil is made from cold compressed technique by using high quality olives. It has a nice aromatic flavor to it. It is best for both cooking and topical treatments. Due to glass packaging, the olive oil doesn’t get rancid. Can Olive Oil Stop Balding Process? People suffering from male-pattern baldness, olive oil can be extremely helpful as it contains DTH blocker. DTH is typically a hormone can directly attacks the hair follicles and weakens them. With regular and appropriate amounts of olive oil consumption, one can slow down our body’s natural DTH production. It is quite difficult to answer this question as everyone is different in terms of food habits, hair type, scalp health and lifestyle. The time period actually differs from one person to another based on these factors. If you want to boost up the results, then apart from following the above topical treatments, we recommend to take nutritional food, reduce stress levels, and exercise regularly. Please try to reduce the number of times you wash your hair and over washing hair strips off the natural oils. Try washing twice a week. I have grey hairs and I am having hair fall.But I was thinking of having a global hair color.Should i go for it or not? The chemicals present in commercial hair dye products can damage your hair so it is better to avoid them. Henna is a natural hair dye you can try to color your hair. To reduce the hair fall, try the methods mentioned above. Hi riyu, as per your description, you may have hair fall due to weak immune system or any other health concerns. Start consuming a nutritional diet, exercise regularly and drink plenty of water to boost your immune system. Once your health is back to normal, then any topical application can be helpful to stop hair fall and encourage hair growth. Use any method mentioned above regularly. Consume nutritional diet, exercise regularly, cover your hair while going out in the sun and dusty areas, avoid shampoos and conditioners with harsh chemicals and avoid hair styling products. Iam 20 yrs old iam suffering with hair fall many products I used but no fruit. I have dandruff in my hair . .how I over come it. Is there any possibility to grow new hair instead of fell hair ? Try the methods mentioned above. Apart from that eat nutrition rich diet, stop using hair styling products, avoid shampoo and conditioners with harsh chemicals and cover your hair while going out in the sun or dust. Use the above mentioned methods regularly. Apart from that include vitamin rich fruits and veggies in your daily diet. Avoid oily food, stop smoking & drinking. I have hairfall problem since 3-4 years.. My hairs are long but very thin.. What can I do to stop my hairfall.. Follow the methods mentioned in the above article. Apart from that consume a nutritional diet and wash your hair regularly. Can i use anither oil instead ofvolive oil. Can I use olive oil , 5 drops of rosemary oil, 5 drops of lemon oil and 2 capsules of vitamin e.
And keep it as a mask for 1-2 hours nd wash with mild shampoo. Ok the thing is i’ve shaved my head because of the hairfall , dry dandruff and itchy scalp . So I want your suggestion that what can I apply on my shaved head to prevent all these mentioned problems above ???? Apply olive oil before going to bed and rinse off with water in the morning. Follow this routine daily. Hi, i have been suffering from dandruff ,hair fall, and thinning of hair.. I am using olive oil and onion juice mask on hair .. But i am not sure of what type of shampoo to use for getting better results. Could you please suggest me some shampoos/ brands ..
Whatever brand you choose make sure it does not contains paraben and lauryl suphate. You can check it in the ingredients list on the shampoo. Try to use mild shampoos for better results. Choose any method in the above article and try it regularly. Apart from that follow these tips. – Wash your 2 – 3 times a week. – Try hot oil massage once in a week. – Don’t wash your with hot water, opt for lukewarm water. – Improve diet with nutrients, vitamins and minerals. – Don’t tie your hair tightly. Yes, it is effective as all the ingredients have beneficial properties of stimulating hair growth. Water or place mostly doesn’t have any effect on hair growth and its thickness. First thing you have to observe is whether you have any done any diet changes. Avoid using shampoos that contain harsh chemicals like paraben and lauryl sulphate. Eat foods rich in vitamin A, C and K, minerals and citric acid. Do hot oil massage once in a while. Choose any method mentioned above and try it regularly. Hello which vitamin E capsule should I use for my hair? Can you suggest me one or name please? You can use the vitamin E capsules that are available in medical stores. Hair fall can also be caused due to internal issues like weak immune system, hormonal imbalance, scalp infection or any other reason. It is better to get your scalp and hair diagnosed by a dermatologist to find out the exact reason behind the hair fall. Once, we get to know the problem we can find the solution according to it. Meanwhile apart from following the remedies, you have to take care of your food and lifestyle routine as well. Eating nutritional food, reducing stress and drink plenty of water to flush out toxins are very important. Let the mixture of garlic and olive oil cool down for few minutes (10 – 15 minutes) till it reaches room temperature. You’ve been mentioning harsh chemical products. I’d like to ask which in particular? I’ve gone to the shop to buy a shampoo and when I started to read the labels I realised the only thing that I knew exactly was that sulfate is bad for you, but nothing else. Apart from sulfate there are many other chemicals that can be very harmful which include paraben, DEA or TEA, sodium chloride, polyethelyne glycol, formaldehyde, synthetic colors, propylene glycol, mineral oil, dimethicone and others. What shampoo and conditioner product do you recommend to use? Purchase a shampoo or condition that doesn’t contain paraben, lauryl sulphate, lanolin or mineral oil. Try the remedies mentioned in the above article. Apart from that eat a nutritional diet, drink plenty of water to flush out toxins, include rich in vitamin C, A and K in your daily diet, exercise regularly to reduce your stress levels. Try any one of the remedy mentioned in the above article regularly. Apart from that eat nutrition rich food, drink plenty of water and avoid using hair styling products. You can mix the three ingredients and apply it on the scalp. Rinse off the application after half an hour. Try to follow any method mentioned in the above article. Apart from that, follow a nutrition rich diet, reduce stress with exercise or meditation, drink plenty of water to keep your scalp hydrated and include foods rich in biotin, iron, keratin and omega fatty acids. My hair do cut, I dnt know why, and I have loss of hair, how do I go about it? Try any remedy mentioned above in the article and try it regularly. Apart from that, include foods rich in vitamins, biotin and omega fatty acids in your daily diet. As we are not applying honey directly to the hair, it will not whiten it. Try any method mentioned above in the article regularly. Eat nutritional food rich in vitamins, biotin and omega fatty acids. i have hair fall ,dandurf and hair fungal problem. i use medical shampoo ,oiles but not effected. kindly guide me right solution..
Olive oil contains antifungal and antibacterial properties which deal with dandruff and fungal problems. Apart from that, olive oil also contains essential nutrients which reduce hair fall and strengthen the hair roots. So, try any method mentioned above in the article regularly. Split ends develop due to dry and brittle hair. Olive oil hydrates and softens the hair thus treats and prevents split ends. Hi, I just discovered that am gradually losing my hair from the sides of my scalp from my fore head backwards. In others words, I am gradually going bald. Will any of your solution given above help me to resolve this issue and is there any other thing I should do. I do a lots of exercise and drinks lots of water, especially as soon as I wake up in the mornings. You can try any one of the methods mentioned above in the article. Apart from that you have to include foods rich in biotin, omega fatty acids, vitamin E and A, iron and potassium. How about using olive oil,coconut oil and chemically manufactured almond oil after warming it slightly and using 2-3 drops?? 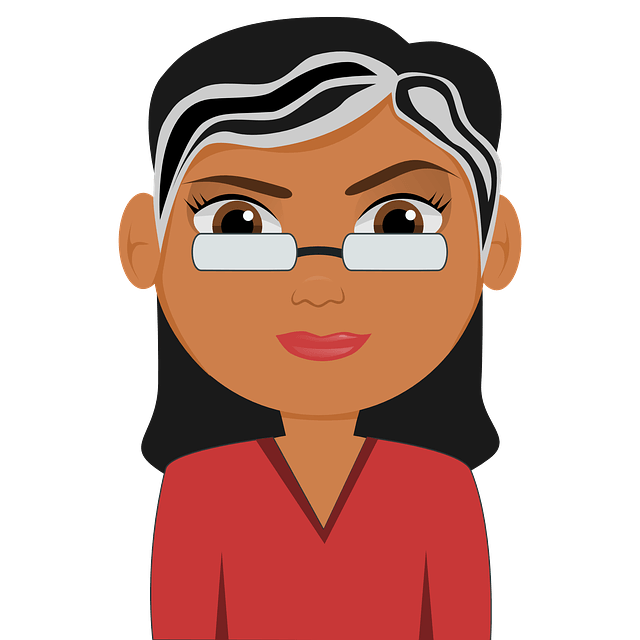 My hair is quite thin and i’m making my hair long…. The mixture of coconut oil, olive oil and almond oil will be helpful to strengthen the hair roots and increase the hair growth. But avoid using chemically manufactured almond oil. Try to use organic, cold compressed oils for effective results. Hola um I have a lot of hair loss what do I do to regrow it and make it thick and longer??? You can try any method mentioned above in the article. Apart from that eat nutrition rich food to boost healthy hair growth and drink plenty of water to maintain the scalp health. I’m 22 years old and my hair is getting grey since when I was 12-13 years old….. and now I’m experiencing hair loss also…… nowadays I’m applying crushed “Marathondi leaves” to make grey hair to brown…. please give me a method to overcome this condition…. I’ve thin hair and lives in Chennai, India. baldness is nearby at the age of 25. losses hair predominantly of Tension and stress. I bought Nature Absolutes “pure olive oil 100ml”. how should I use olive oil daily, to get back my glowing childhood hair? hope it might grow back. Warm up enough amounts of olive oil. Using your fingers, apply olive oil on the scalp along the hair. Leave it on few hours to overnight. Rinse normally with mild shampoo and water. Repeat the process 3 times in a week. Apart from following the olive oil methods, eat nutritional food rich in zinc, vitamins, biotin and potassium. It helps to strengthen the hair follicles from inside. Reduce stress levels as it can damage the hair follicles. Drink plenty of water to keep the scalp healthy and hydrated. I was recently diagnosed with CCCA alopecia from my dermatologist. He prescribed doxycycline 100mg to take orally every 12 hours and fluocinonide 0.05% topical solution mixed with extra virgin olive oil to apply to scalp daily to regrow my hair. But I was wondering if I can try the home remedy method you have provided. I truly think my problem is instant results considering I had a head full of hair. Your feedback will be very appreciated. Thanks! Yes, you can try the home remedies as well. I use vitamin e capsules with olive oil to my hair… i don’t use shampoos so i rinseit with normal water.. is it ok??.. and how long will it take to get result?? Rinsing hair with water is not sufficient to remove the oil. The leftover oil can attract and trap impurities which can worsen the condition. So, use mild shampoos to rinse your hair. It is difficult to tell the exact time frame as it depends on the person’s scalp health. For effective results, you have to consume nutritional food and drink plenty of water to maintain the scalp hydrated. It depends on the scalp condition, hair texture and food you eat. So, try the remedy with some patience. You may observe the improvement in few weeks. Yes, it is ok to use olive oil. It contains antimicrobial properties which deal with the bacteria causing any scalp infections. Its mono-saturated fatty acids reduce hair loss by strengthening the hair from roots. It stimulates blood circulation and nourishes the hair follicles. It removes the dirt and other impurities present on the scalp. Is the mixture of olive oil+ coconut oil+ almond oil is good for hair thickening ? If good then in what ratio should I mix them? Yes, the combination is very effective in strengthening and thickening the hair. You can mix them in equal amounts. Warm up the mixture before application for added benefits. If it’s genetic, then it cannot be cured completely. However, you can slow down the hair loss problem with olive oil remedies. I am using warm olive oil and keeping it for the night before washing in the morning. I also spray aloe vera gel and olive oil once a week..
Will this promote hair growth or I should try something else. I am 20 and I have rough , frizzy and curly hair. The routine you are following is enough to promote your hair growth. Apart from topical applications, you have to eat nutritional diet, reduce stress levels and drink plenty of water. Does it really Work? In how many days ? Yes, it helps. It contains essential nutrients and mono-unsaturated fatty acids which help to reduce the hair loss and strengthen the hair follicles. It also helps to deal with scalp infections like dandruff. It is difficult to tell the exact time as it depends on the scalp and hair health. So, try any method regularly with some patience until you achieve the results. You can try biotique or khadi herbal shampoo and conditioners. You can find them in Amazon. In khadi.. i have bought green tea and aloevera conditioner.. for oil sugest me to go with either Bhringraj hair oil or Henna Rosemerry and henna hair oil.. and there is a huge variety of shampoos available in khadi.. may i go for Amla and Bhringraj shampoo or any other shampoo is more effective than this?? Hello! I am constantly having a dry and itchy scalp. I scratch to the point my scalp is sore so now I’m trying to avoid scratching. I use Paul Mitchell tea tree shampoo and conditioner which only relived it for a few days. I only wash my hair about every two weeks. I don’t use any other chemicals. I’ve tried some oil products from the store that are for dry and itchy scalp but my scalp will soak them right up within 24-48 hours and it’s back dry, flaky and itchy. What do you think/suggest? To treat the dry and itchy scalp, you can try any method mentioned in this article – http://homeremediesforlife.com/dry-scalp/. We have also mentioned few precautions you have to consider to treat dry scalp. Follow the method and tips regularly without interruption to get effective results. My hair is dry and frizzy.. what kind of shampoo can i use? Some tell me that using honey on hair will turn my hair white.. is that true? Im using warm olive oil massage before bathing.. shall i use castor oil.. if s means how can i use it? Is there any article for face.. i dn’t have pimples.. but my face is very dry..
Can Olive oil make hair fall at the starting stage of applying.. Try any process mentioned above in the article. Apart from that drink plenty of water, reduce stress levels, and consume nutritional food. hi, i’m currently staying in New Zealand form last 10 months i face hair fall problem , everyone is saying that hair fall is due to water (during shower) please suggest me i’m confused. If it is salty, hard or chlorinated then it can cause hair fall. Yes, you can use vitamin E oil, olive oil and almond oil combination to treat hair fall problem. Apart from that eat nutritious food and reduce stress levels. My hair doesn’t grow longer! It is very slow to grow! I started to use olive oil I leave it for a night then wash it out what is the right way to wash it out ?do I have to use shapoo every day?what should I do I want my hair to grow longer in a short time? If I add an egg and a spoon of honey to the olive oil would it make my hair grow faster? The combination of olive oil, egg and honey can be helpful in improving the hair growth. Try the process regularly for effective results. Apart from that eat nutritional food and drink plenty of water to stay hydrated. Can I use olive oil, vitamin e oil, curry leaves and cumin seeds all together ? Can I use combination of olive oil, curry leaves and vitamin e ? Yes, you can. The ingredients olive oil, curry leaves and vitamin E are beneficial in strengthening hair follicles and promoting hair growth. Make sure to follow the method regularly to achieve effective results. Choose any remedy mentioned above in the article. Apart from that eat nutritional food rich in biotin, B12, C, A and magnesium. Drink plenty of water to keep the scalp hydrated. Can I use combination of olive oil, coconut oil, almond oil and curry leaves all together ? Can the mixture be stored ? If stored how many days or weeks ? If you want to grow your hair faster, you should also remember to get enough sleep and eat well. to answer your question, that home remedy will definitely work; Make sure you wash your hair and let it dry until slightly damp before you apply your remedy. Can we use Nigella seeds with olive oil for regrowth of hairs? I am combining castor oil with hemp in it and coconut oil for thickening according to the seller. I was told to just apply it and wash it next day as my hair is thinning and balding. Is it true? If so what is the best scalp oil to apply to keep scalp moisture after shampooing? Please advice.